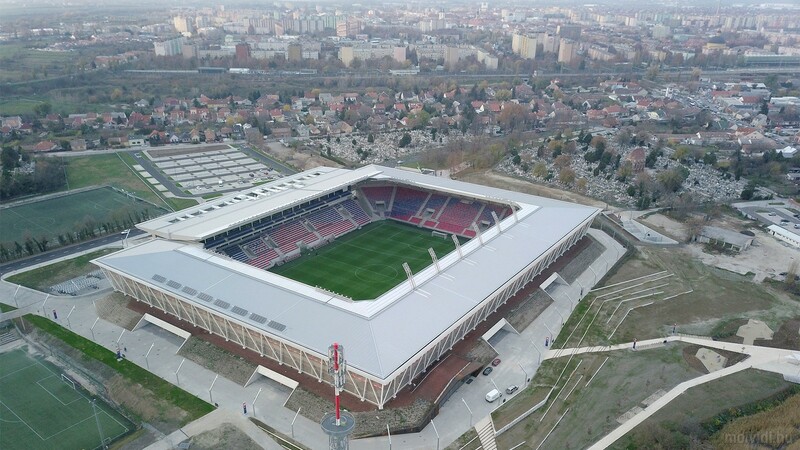 Even if only due to the high level of Videoton FC, Sóstói stadium was among Hungary's most important stadia outside Budapest for almost all of its history. With gradual improvements from early 2000s, it retained decent standard infrastructurally. 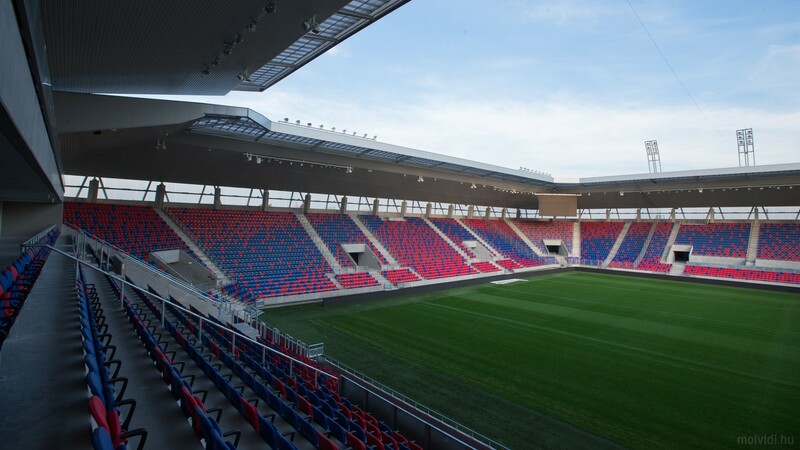 When the national programme of stadium redevelopments for top two leagues was launched, it was decided that the west stand would be retained, considered up-to-standards. 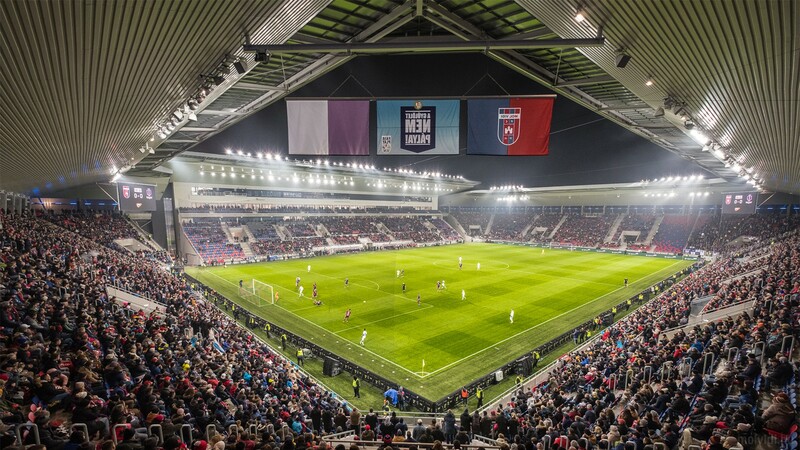 But a new stadium was necessary nevertheless. 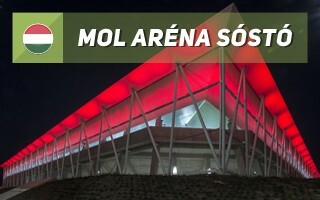 The design was drawn by Budapest-based S.A.M.O. office and the challenge wasn't limited to just combining the old and new parts. A different issue was creation of attractive public space which would transition from football stadium to wildlife reserve. Precisely that, the city's largest green area and wildlife sanctuary, begins just behind the east stand. This is why no perimeter fencing was created, while space is organised by pathways, benches and mild landscaping. Grass has been 'pulled' onto the stadium by creation of artificial landfill on the base of the building, behind toilets and concession stands. In total over 23,000 m2 of green space was achieved directly around the building, including pathways that transform into piers, allowing visitors to walk above water and admire the landscape. 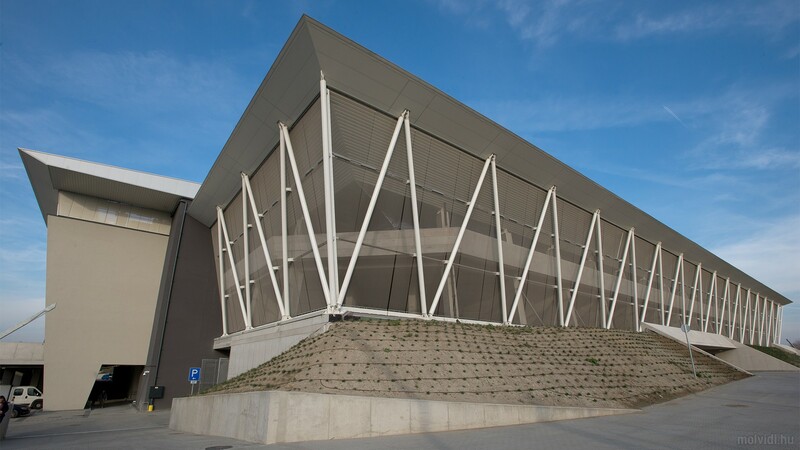 A 30-meter viewing tower was also created behind the south stand.